November 15, 2016 - Osceola Consulting sponsors the Los Angeles Forte Foundation MBALaunch Alumnae Association event entitled: "A Seat at the Table: Empowering Female Leaders." 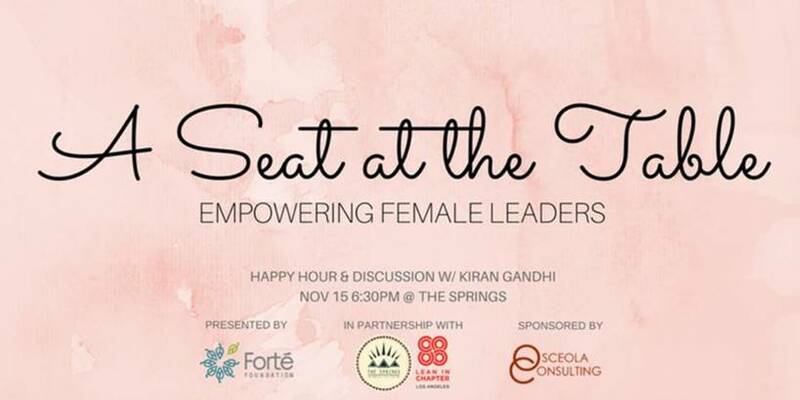 This was the first of its kind, with Kiran Gandhi as invited speaker to empower females to be the next generation of leaders. This event brought together a number of the current MBAs and future MBAs who shared their perspectives and discussed their focus and drive for the world of business. 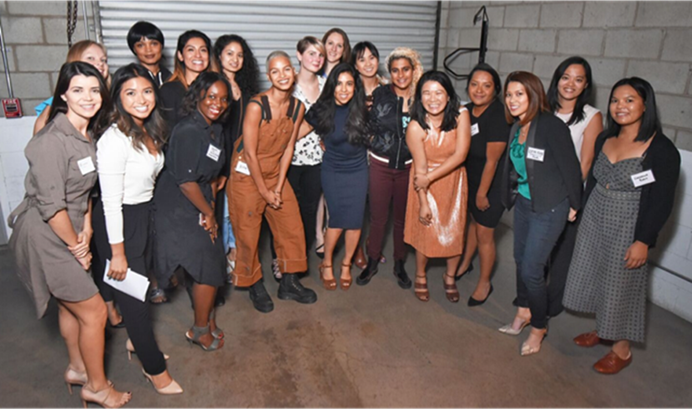 “I am delighted with the overwhelming response we have had to this event and it clearly demonstrates the growing importance of the future female leaders across all industries," comments Song Seto, LA Forte Foundation MBALaunch Alumnae Co-Chair. The LA Forte Foundation MBALaunch Alumnae Association's mission is to engage pre and post MBA's in dialogue in an interactive and enriching discussion format around global mindset, innovation, creativity and other common leadership interests.